ACP Expert 8.2 has been released. This is a substantial update to Expert Scheduler 8 and includes some new capabilities. If you wish to purchase ACP Scheduler to add to your existing ACP system, it is an upgrade from ACP to ACP Expert. If you have questions please call or write (see below)! Before You Buy ACP Expert Scheduler Read This First! written by by ACP Expert customer Dr. Peter Prendergast back in April 2012. This says it all and from a customer's perspective. It is an Acrobat document. It has only gotten better! 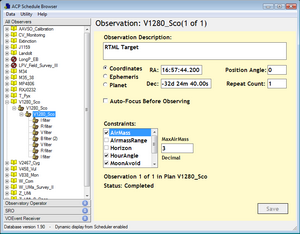 The 2006 engineering white paper Dispatch Scheduling of Automated Telescopes is available for your review. This paper was originally presented at the Society of Astronomical Sciences conference in Big Bear CA, on May 26, 2004. It was revised in 2006 to reflect changes in Scheduler 2.0. 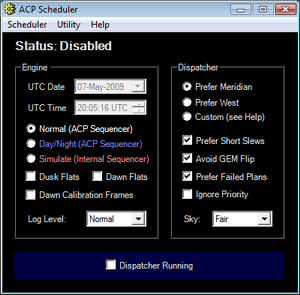 This is the web site for ACP Scheduler, a companion program to ACP Observatory Control Software (ACP). Together, the two programs make up ACP Expert. Scheduler is a "just in time" scheduler, able to cope with varying observing conditions and requests added during a run. 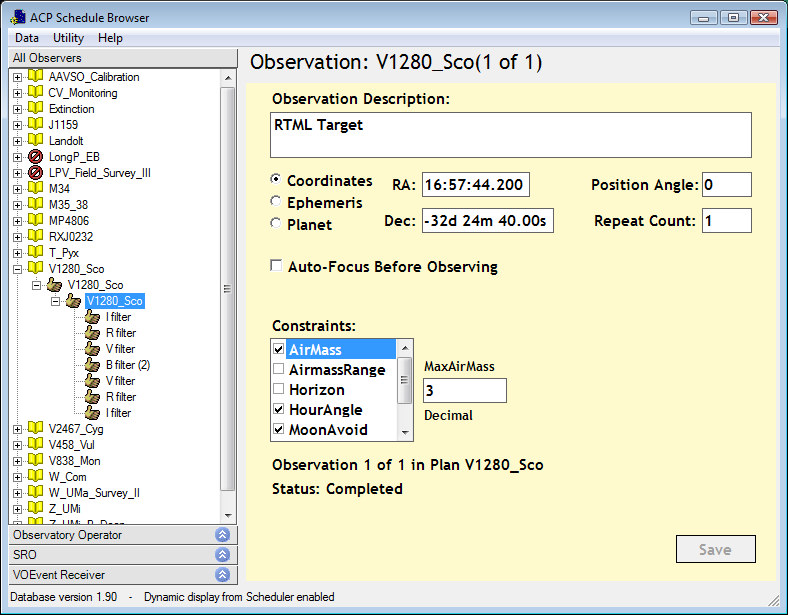 With Scheduler, you no longer have to "plan" your observing runs. For proof that this is a major breakthrough, see the Messier Marathon 2013 and AAVSO APASS info in the column on the right. Observing requests and their constraints are entered into a database via a web interface, a schedule browser (shown above) or RTML batch import. Continued development advanced Expert Scheduler to the forefront of dispatch schedulers; its "rising plan delay" algorithm solves a major problem shared by all others, including those used in large professional observatories. The scheduler engine dequeues requests from its database and feeds them to ACP Observatory Control Software for data acquisition. ACP Expert, the combination of ACP and Scheduler, run autonomously, starting and stopping observing at astronomical twilight, doing dusk and dawn flats, and post-dawn dark/bias acquisition. Expert Scheduler is bundled with ACP Observatory Control Software as ACP Expert. Both are available for free evaluation. The two programs are released as a matched pair. Scheduler 8.2 requires ACP Observatory Control 8.2. Copyright © 2004-2019, Robert B. Denny, Mesa, AZ. In March 2013, Chris Johnson went out into the field to observe the Messier Marathon with great success! He let Expert's scheduler choose the order & timing of observations. See pictures and read his article here. Incidentally, an early version of ACPS was put to the test with the Messier Marathon 2004. It got all 110 targets. Here are the details. 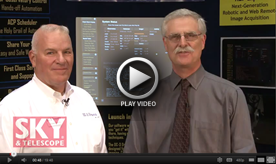 ACP Expert is the heart of the data acquisition engine for the AAVSO Photometric All-Sky Survey. Each station acquires about 400 images per night. 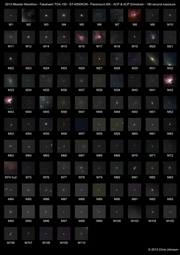 As of March 2015, over 80 million stars were photometrically calibrated in 4 filters. The AAVSO Bright Star Monitor also uses ACP Scheduler. Neither program would have been practical without a hands-off dispatch-scheduled observatory. The Sonoita Research Observatory, using ACP Expert and its VOEvent Receiver, captured data on Gamma Ray Burst 090423 (see this GCN Circular). This was the second GRB for which SRO captured data during that week. GRB 090423 is noteworthy in that it turned out to be the most distant object ever observed in the universe.